From my North East camera at 2202.46UTC 19th of November. Initial analysis suggests an early December Alpha Draconid with an Apparent Magnitude of -4.2; checking around Nemetode.org - this appears to be the first this year! This particular Weak Meteor Shower usually starts around now and appears to have two peaks, the second taking place during the time of the Quadrantids in the first week of the New Year. BUT! This may be an anomaly because the Radiant positions of both meteor showers are relatively close together so there may be mis-allocation by the analytical software. 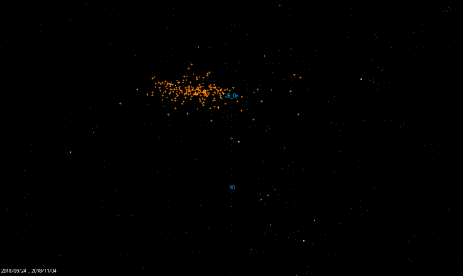 “Thought you and HERAS members would be interested in this ‘early look’ at the 2018 data set for the Orionids. Huge thanks to Alex Pratt for getting the data out so quickly. Many of us [Ed: members of Nematode] recorded good numbers of Orionid meteors during the past few weeks, the debris from comet 1P/Halley. 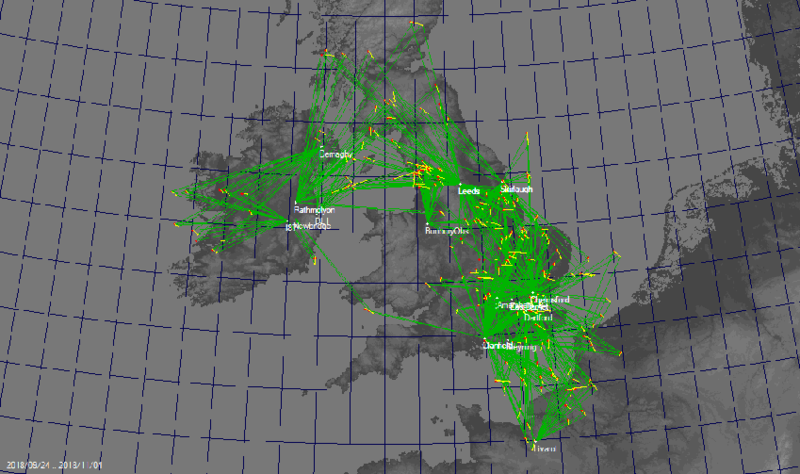 I've attached the ground map from 180 multi-station Orionids captured between September 24 and November 4. 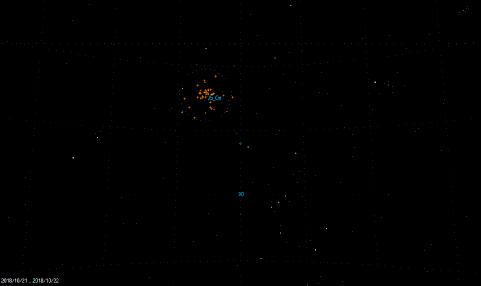 The trail map for the same interval shows how their radiant traverses from R to L above Orion. moving 0.7 degrees per day in RA and 0 degrees per day in Dec. Unlike some showers that have a brief peak of activity, the Orionids can put on a good display for 2 or 3 nights. 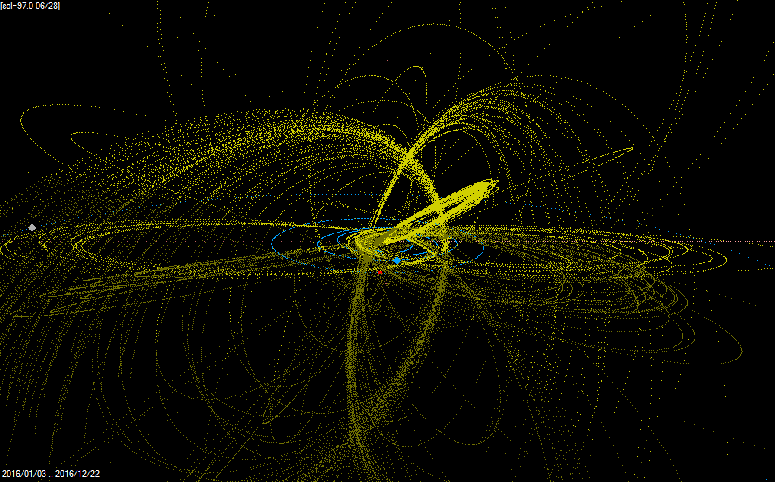 The second radiant plot is for the night of October 21/22, from 48 multi-station meteors. These give a radiant point of RA 95.4 (6h 22m) and Dec 15.4, at solar longitude 208.4 degrees. 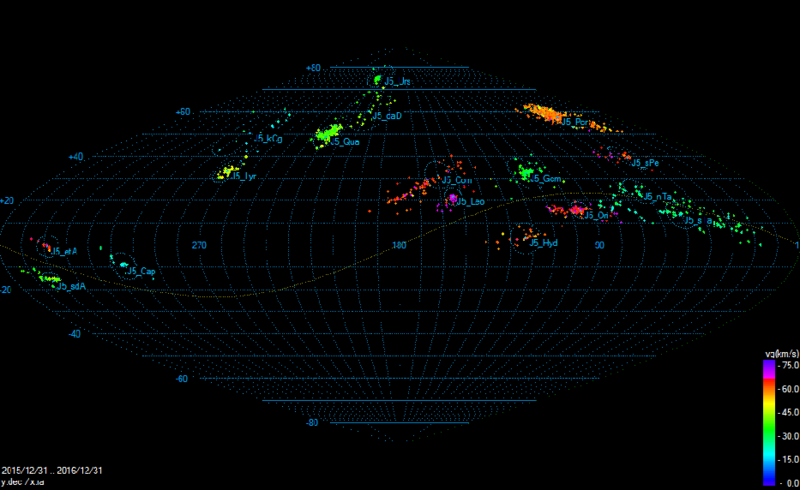 Their average geocentric velocity (Vg) was 65.7 km/s. As usual, our results agree very well with those of professional workers listed in the IAU MDC. 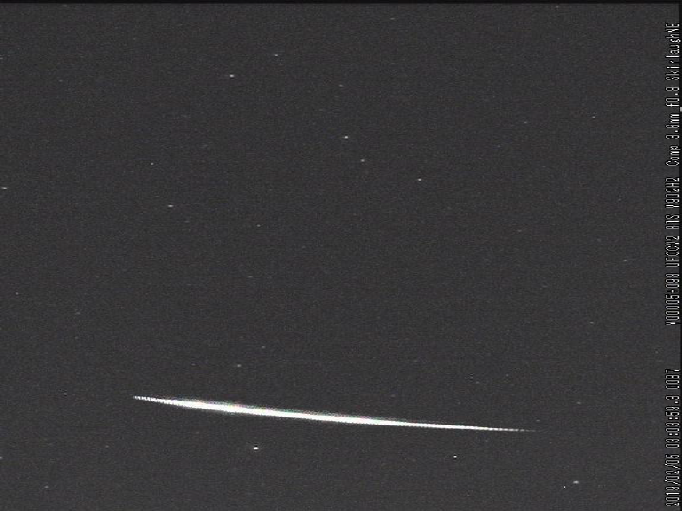 An interesting Meteor capture, because it was classed as a “theta Centaurid”. 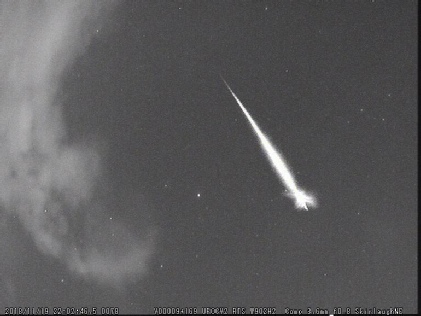 Captured by my North East pointing camera. This is a Weak shower taking place late January to late March, however it is regarded as a “southern hemisphere event”. The image has been rotated to show the true horizon, bottom of image. The direction of travel is Right to Left; the “curvature” is an artefact of the camera lens – wide angle. The two “bright” areas towards the Left end indicate “Fragmentations” took place. The Apparent Magnitude is -3; reference “The Plough” at the “top” of the photograph.